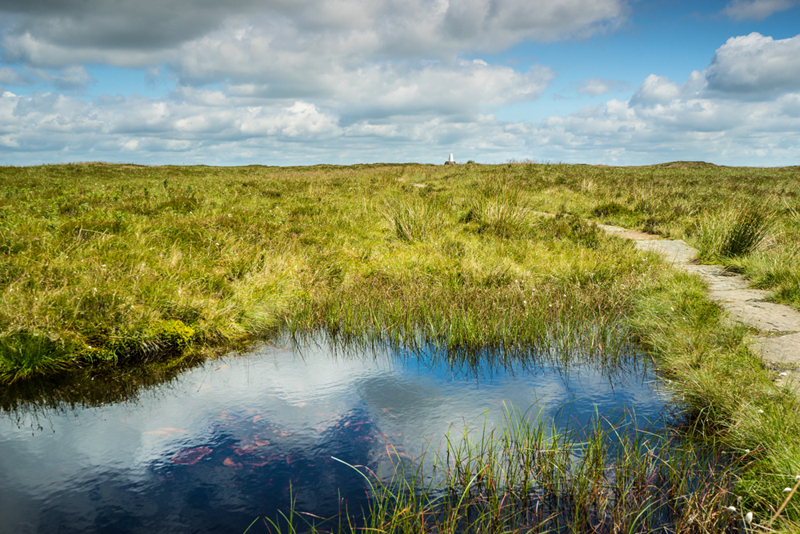 The Moors for the Future Partnership has been working since 2003 to protect the most degraded landscape in Europe. Using innovative conservation techniques it has transformed over 32 sq km of black degraded peat in the Peak District National Park and South Pennines. A monitoring programme provides evidence of the effectiveness of these techniques and is backed up by innovative communications that inspire people to care for these special places. provide a unique habitat for a wide range of wildlife. absorb and store carbon, keeping it out of the atmosphere. provide good quality drinking water – 70% of our drinking water comes from these landscapes. Damaged peat erodes into the reservoirs so that water companies have to spend more money cleaning the water for consumption. potentially help reduce the risk of flooding.